Congratulations to our own Kandyce Tripp, Global Head of Channel Operations, and Melissa Nacerino, Director, Americas Channel Marketing, for making the 2016 Women of the Channel list and the Power 100 list. 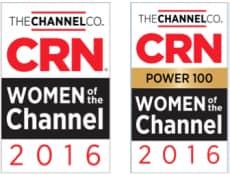 CRN’s “Women Of The Channel” project recognizes influential women leaders with extraordinary expertise and vision. 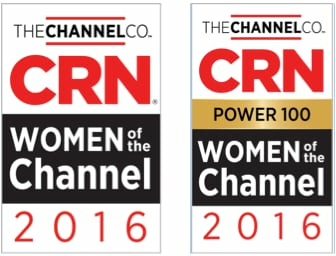 CRN’s Power 100 is a subset of the CRN Women of the Channel who have earned a special distinction based on their exemplary record of success and their level of influence in the channel. Here at Palo Alto Networks, we are proud of our dedication to women’s empowerment principles. We recently established a Women’s Networking Community to connect and empower our female workforce. This Community spearheads development workshops, meetings and networking mixers; providing a valuable platform to learn and grow. We also debuted a Women in IT event series, starting with two events in Canada that we are now replicating in multiple regions. The goal is to bring business leaders, channel partners and Palo Alto Networks executives together to engage on the top issues impacting women in business, and to celebrate the impact women have made on the workplace.